HEAD released their 2011/2012 range of squash rackets earlier this year updating three current rackets with their technology “Innegra” and also adding a new racket into the mix. The Cyano, Neon and Argon have all been given the update and also come with different styling. The new racket is the cyrus which along with the others offers a good choice of racket for each type of player. STATE-OF- THE-ART RACKETS FOR ANY KIND OF PLAYER! The HEAD YouTek Innegra series of rackets has been designed to work alongside the existing ” d3o” and “teflon” helping to advance the feel of the rackets. It will enhance the player’s performance whether you are playing smooth and consistent or if you are playing powerful and aggressive as the racket can adapt using its unique characteristics. The new Innegra high performance fibre will keep the racket in the best condition so it will not lose any of its properties and eliminate vibration considerably. HEAD has used the new d30 technology in the racket’s lay up and is positioned in the frame’s shaft. 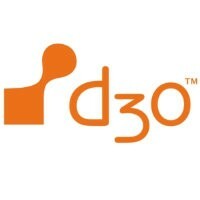 This new d30 is being classed as a ‘smart material’ mainly for its futuristic and abnormal behaviour under stress. It is a ‘dilatant foam’ which can suddenly change under load or impact and offers new opportunities for the player. The d30 technology can sense the on impact of the ball whether it is a hard aggressive stroke in which case the racket stiffens to allow explosive power or whether a soft accurate stroke is being played resulting in the frame absorbing the impact. This is achieved by the d30 smart molecules suddenly locking together which dramatically stiffens the racket in nanoseconds. This should result in the player getting to use maximum power for attacking and accurate slice and touch for short play at any time. 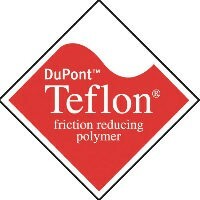 HEAD have also added Teflon grommit strips to this new range to reduce friction. On other rackets friction can occur between the strings and the grommit strip which gives some resistance and in turn reduces the power and energy of your shot. The Teflon grommit has low friction contact surface which lets the strings slide through with hardly any friction at all allowing full power in your shots. The grommit also maintains excellent tension in the strings due to the low friction which also creates a larger sweet spot. 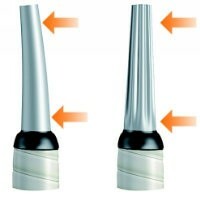 The YouTek series still combine the revolutionary corrugated technology from the last range with its excellent benefits. It is incorporated into the shaft giving a 12% increase in stiffness optimizing torsion, power, bending and comfort on every shot. Introducing the Innegra, the lightest high performance fibre in the world today. This revolutionary fibre although being very light is extremely tough and when married up with HEAD’S advanced carbon composite creates an ultra tough hybrid composite. The new hybrid – composite is put in place for advanced shock absorption and stability, the results show that the vibrations created on the actual ball impact can be reduced by up to 17% which is a vast improvement for the players precision and control. The main benefit is your racket will stay in the perfect position for longer so you do not lose any of the other major properties. Stability is also increased due to the ultra tough hybrid – composite making the racket more durable but not adding extra weight. The new look for the cyano 2 is yellow and black with the teardrop designed head. Built to deliver power on every stroke with its head heavy balance. The Neon 2 130 is finished in red and black an is also head heavy. Designed for control but is also very powerful for a quadroshaped racket. The Argon 2 155 is head light and designed for control and precision, it’s also the choice of professional player Daryl Selby. I am now becoming quite a fan of these rackets which seem to be well designed and feel very solid. The Cyano 115 is slightly lighter than a racket I would normally use and is very easy to move round the court, but because it is head heavy the weight is well-balanced. Although it is light I still wasn’t tempted to start flicking shots which is usually what I am tempted to do with light rackets, but because the head is that bit heavier I found I could still play my normal squash game. Once again the teardrop head shape with the open throat creates excellent power when attacking and still has a good mount of control for touch shots. I would definitely recommend this racket to an aggressive hard hitter who likes to power his or her opponent off the court. For the touch players the Argon 2 155 would be more suited with its head light design which creates more feel to your shots. I found this racket great for drop shots, controlled volleys and lobs as it gave me more accuracy. It is nowhere near as powerful as the cyano but once again it comes down to what size the player is and how strong etc, but it had enough power to attack the ball nicely and still control with slice. The Neon 2 130 is the middle of the road racket which still has the heavy head for power but the quadroshaped head for more touch and feel. 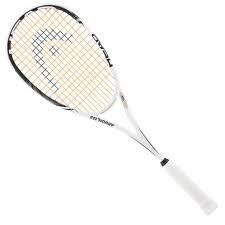 This was my favourite racket as it suited my game the best, enough power and enough control and also roughly around the weight I would prefer. I was getting nice length up and down the walls, not over hitting or struggling to find the back wall and it was also good for my volley game. After reviewing HEAD rackets for a third time I am impressed at the way they have improved over the years, maybe ten years ago I would have not even contemplated using one. The rackets were more like slingshots, full of vibration and only really built for maximum power. Now the HEAD rackets are competing with the top brands and seem to improve every season which attract more top players to use their equipment, I would certainly own a HEAD racket as they have a certain feel and balance that I personally enjoy, also they are slightly cheaper than some of the other top name brands which also a bonus. HEAD have released the new YouTek series of rackets which have combined the current and best technologies with new and advanced technologies. The range consists six different rackets based around the popular weights and balance, the rackets have new names and a facelift for the new introduced ‘d30’ and ‘Teflon’ which have been added along side the corrugated theme. The three factors together should enable the racket to react in the style the player wishes to use. It will enhance the player’s performance whether you are playing smooth and consistent or if you are playing powerful and aggressive as the racket can adapt using its unique characteristics. This is the new and updated Cyano 115, it keeps its teardrop design for maximum power and with the added YouTek technology boasts great control too. Built for power and is the lightest racket in the series. The Anion is the basically the heavier version of the Cyano to provide players with a different choice of weight. Same teardrop head shape but it may be slightly heavier but has great maneuverability because of its clever weight balance. I very much liked these rackets first time around when they were just the ct range so I was happy to hear HEAD had updated them again. I tried out both rackets but I soon felt much more comfortable with the Cyano 115, mainly because the weight suited me a lot better. Once again as expected all the power as promised created by the teardrop head yet it also felt very controlled and I could still play accurate squash. Far from the old HEAD rackets that pinged roughly in the direction you have aimed. Nice balance on the Cyano 155 which does feel very stiff on attacking shots, I also slowed down a little and got some good length with no real effort. Very good on short play as well I still felt in control when cutting and slicing drop shots and even good touch on the lob. My only comments would be it does feel quite stiff on every shot not just when attacking the ball and still a little on the light side but overall a very playable racket which was very easy to use. Use the links below for the best prices I could find. The YouTek Neon 130 has been built for optimum power and maneuverability. This racket has the bridge in the throat area which allows great control and is everything you can ask from a Quadro – Shaped racket. The YouTek Cerium 150 is once again another weight option for the Youtek Neon. Slightly heavier but has also a lower balance point so not too noticable. Both of these rackets have the more dense string pattern for better control and feel. I tried both of these rackets and I must say that the difference in weight is minimal. I still prefer the slightly heavier racket (the YouTek Cerium) but this is just my personal choice as I would usually use a racket around this weight or maybe lighter but the weight balance felt better. These two rackets played quite different from the first two because of the head design adding the bridge in the throat in my opinion makes all the difference. Although you lose a small amount of power it is more than made up with control and feel. The rackets felt great on impact with the ball and unlike the first two were more forgiving on shots that were off centre. The dense string pattern made my shots feel more solid and comfortable. I still feel the Neon needs better balance but this is my personal opinion and I am sure they would be great for players who normally play with rackets around this weight. Nice control on volleys and absorbed the power of attacking shots which enabled me to push in tight defensive drops or boasts. The new YouTek Xenon is much the same as the original to look at but has been updated with the new technology especially designed to deliver a greater blend of power, comfort and control. The choice of racket for Karim Darwish. The YouTek Argon 155 has been branded the ‘big brother’ of the Xenon 135, once again offering a heavier racket with a lower balance for better movement and control. I found both these rackets slightly on the heavy side so this time I got on with the Xenon better than the Argon. It took quite a while to get used to the Xenon due to the balance which made it feel somewhat head heavy. However the racket plays really well and felt comfortable, although it took a bit more effort than some rackets i have tested and my shots felt solid and true. Power and control were achievable but I felt I had to prepare my racket earlier (which is not such a bad thing). It felt comfortable on impact with the ball with the smaller head size giving a nice sweet spot which eats up any vibration. The Argon unfortunately for me was just a bit too heavy, even with the lower balance it did not suit my game although the balance definitely made a great difference to the dynamics. The HEAD YouTek series has improved the comfort and feel of this range of rackets which is very important to a player whose game consists of a lot of touch and accuracy. The Anion and Cyano both with the teardrop head shape deliver the trademark HEAD explosive power but the feel and comfort has improved allowing players a greater range of shot choice rather than to hack the ball into next week. The other four rackets play much the same but offering a different range of weight, balance and head size so its much down to the individual to find the right combination for your style of game. The weights can be deceiving due to the balance and the lighter rackets feel heavier than others I have tested and the heavier rackets seem lighter than others too. All in all the designs of the rackets are very nice and I feel Head are really achieving to offer a good range of rackets with lots of variation to suit players individual needs. As always your comments and feedback are very much welcomed, this helps other players gain valuable information and opinions which could help them decide on a certain racket. adiPrene – Installed in the rear and the and the forefoot for absorbing high impact steps. Torsion system– To stop excessive twisting and movement of the foot, also adds extra midfoot stability. E.V.A Insole – improved designed insole to give much greater comfort. adiTuff – Gives the shoes greater resistance to wear and tear on the court. These are excellent court shoes and are better vented than the previous models. They may feel a little bulky at first but once you get used to them they are a pleasure to wear. They feel light and deliver unbeatable grip. The adicore comes in two colours, blue and black. Click on the images above or use the links below to go to the best deals for these shoes. The Tecnifibre Carboflex 130 Has become the top selling racket in the new 2009 squash racket range. The new range of Carboflex rackets feature the ‘Isomorph Shaft’ which is an added tendon in the racket’s shaft that increases stiffness up to 25% for extra power. They are also constructed using ‘Basaltex Transmitters, the best compromise between graphite and carbon fibre and materials which are 100% natural (a mineral fibre extracted from volcanic lava stone). This system is located in line for flex control which enhances increased strength, power and ultimate feel. The racket range has been designed especially for modern skillful player of today where power and control are at a balanced level. The Carboflex 130 is not only my favourite racket out of the new Tecnifibre range but is also my overall favourite racket that has been released this year. I have never really given Tecnifibre much thought as I as a racket choice as I only associated them for making great string, but now I feel I might have been missing out. Over the past few year Tecnifibre rackets have created a following and you only have to look at the professional players who use these rackets to realise they are a top brand of premium rackets who are making their mark on world squash. The Carboflex 130 was so easy to play with and did really feel like an extension of your arm. It gave such a great solid feel on the ball’s impact with effortless power when needed. The weight was just right because of how the racket is balanced which meant I could move and prepare quickly. You also have the added bonus of the premium string strung in as standard so you get the imediate feel of the rackets true potential. Getting away from the technical stuff, both carboflex models look amazing with their updated design and colours. The pictures do not do the racket’s appearance justice. I am so impressed with the Carboflex 130 I have recently bought two to use as my main rackets which is a massive decision for me as I have played with other brands for over ten years. Although Tecnifibre have designed these rackets for advanced players they are a very reasonably priced compared to the other well known brands. I would also recommend these rackets to players of intermediate level as I am sure they would feel the benefits of a premium racket and not having to pay the earth. Click onthe links below for the Carboflex 130 deals. This technology is a proccess at nanoscopic level, it is a network of tiny fibres that are mixed with the silicone dioxide in the older n-code technology which actually bind to the carbon fibres. The rackets end up 40% more stronger and stiffer than the n-code rackets which increases the control through less frame distortion. This a combination of power holes and power grooves where the strings meet the frame creating a larger sweet spot for more controlled power. The new frame engineering technology that enhances stiffness at key stress points on the racket for improved stability. 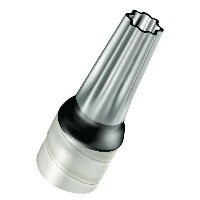 The new industrial design innovation that improves the overall feel and handling for better maneuverability. Three [K] Factor rackets have been upgraded with the new FX technology including the [K] Sonix, [K] Blade and [K] Sting. Each racket brings a slightly different benefit to game play so the player can decide which one suits their own game type. All rackets are available from May 2009. The new [K] Sonix offers the maximum head size allowed in a squash racket to date and is designed for players seeking extra controlled power. The Wilson Blade FX has a tighter string pattern for extra accuracy and control. The Wilson [K] Sting FX is a mid head sized racket for a perfect balance of power and control. Wilson rackets are relatively new to me as I have never really used them for any length of time. I think the last Wilson I used was a sledge hammer which I broke fairly quickly and put me off buying another. That happened a long time ago so I was interested in how the rackets had progressed since then. All three rackets felt very similar with only a slight difference in weight and leaning towards head heavy which was fine. They all felt solid with plenty of power and they all seemed very stable on off centre shots which is always good for retrieving. The Blade and the Sting are nicely balanced rackets offering great control but I definitely favoured the Sonix out of the three. It felt better for my game with the larger head size which added a little more power to my shots and hit the ball crisply under pressure. Overall a really nice set of playable rackets which had enough stiffness and stability to control the more powerful shots. The new [K] FX technology certainly gives the rackets a very different but very sturdy feel which offer bags of control and excellent touch. The links below will take you to the best deals I could find for these rackets. (Choose by country). The O3 Speedport Series are the latest rackets from Prince although they have been on the market for some time now. Prince has always been a major brand in squash ever since the revolutionary Extender which was a smash hit and used widely by players on the junior and senior scene. Prince have always attracted many top players to join them with sponsorship as the rackets have always used cutting edge technology which steered away from the conventional racket designs. The O3 Speed Port Series were the choice of Peter Nicol, Nicol David and James Willstrop all competing at a top level on the world circuit using these rackets. The O3 Speedport Series is no exception to the rule of the Prince racket technology. Prince have achieved rackets that create more power and control in an extremely aerodynamic lightweight frame. The rackets have been specially tested in a wind tunnel that proved they move through the air up to 24% faster than a standard racket. The O3 engineered rackets uses the strongest structure ever found, the arch, which create the frames O Ports. It is these O Ports that stabilize the racket and gives greater control on off centre shots on the racket strings. Laboratories have confirmed that the Speedports strengthen and stabilize for up to a 59% larger sweet spot, which now becomes a sweet zone. There are three rackets in this series the O3 Speedport Black, Tour and Silver. Two of the rackets, the Black and the Tour are much the same apart from their weight and balance so there is a choice for how the player prefers a racket to feel for maximum comfort. I was looking forward to test out these rackets as I haven’t played with a Prince racket since I was a junior, my last was the Extender Elite mark two. They were very stable and reliable rackets so my expectations were high. It took me a while to get used to the feel of the rackets as they were more powerful than I am used to. Out of the two I preferred the weight and balance of the Tour as it felt more comfortable for me. After a game or so I felt confident with the Tour and attacked the ball using the extra power which it handled with ease. It was very maneuverable around the court and I was able to prepare for quick reaction shots which is great when your looking to dominate the T. The one thing that impressed me the most was that under severe pressure and at full stretch I felt I was still hitting the ball very true. The O Ports certainly make a difference when digging balls out of the corners at a stretch and still managing to hit a straight length. It felt to me the rackets are very forgiving if you’re slightly hitting the ball late and not quite in the centre which proved valuable to the periods where I am struggling to retrieve the ball. The O3 Speedport Black and Tour were a enjoyable experience for me to test and met my expectations. I can see the benefits they would bring to a players game with the larger sweetzone they almost do the work for you. 5 Star rating for the speedport range, very impressive. Use the links below to go to the the best prices for theses rackets. (choose by country nearest for best postage). The HEAD Microgel range of squash rackets are still widely used among club and county players. Although they have now been updated with the new range which integrated the Corrugated Technology, this range have succeeded in what they set out to achieve. Lots of power which we have come to expect from head rackets and also added control as the Microgel properties gives the rackets a rock solid feel on the ball’s impact. The Microgel is a silicone based material which has been combined with stiff and strong carbon composite fibres which deforms and compresses on the ball’s impact. It absorbs and disperses the impact to the whole frame and then quickly reshapes again. The end result is a very responsive racket to suit the fast paced game of today. Six rackets make up the HEAD Microgel range which are the – Instinct, Extreme, Fire, 125, 135, 145. The Microgel 125, 135, 145 and Fire are pretty much the same rackets with just different weights although the balance in the 125 is slightly higher due to it being lighter. The string patterns are all the same leaving the long main strings free without a bridge in the throat for optimum power. They also have the same larger racket head area than the other rackets which gives a bigger sweet spot for better control. As all the rackets were quite similar I was surprised at how much difference the weight of the rackets affected my shots. The 125 was extremely nimble and easy to maneuver from forehand to backhand but it was just a little bit too light for me. It is a nice racket but I felt on occasions I lost my shape and my footwork gets a little lazy as I start to flick the ball around the court. On the other hand the Fire was too heavy for me, once again It played well and felt solid but found I was just a little to slow at times in keeping my racket prepared for the next shot. I was most suited to the 135 and 145, just about right for shot taking and preparing quickly. The rackets in general were pleasant to use, plenty of power created from the open throat area and bags of control. HEAD rackets certainly have a unique feel and playability about them which has improved in this range. The power is still very much there but they seem more controlled and would probably appeal to more players of all standards. I have added links below for the best deals I could find. (choose by country for better postage costs if any). The last two rackets in the range are the Microgel Instinct and the Extreme. These rackets are once again quite similar to each other apart from the weight and balance. These both have a smaller head size with a bridge in the throat area and a slightly denser string pattern. I opted just to test the Extreme as I knew the Instinct would be a little too heavy for me @155 g. The Extreme turned out to be my favourite out of the whole range. I have always preferred rackets with the bridge in the throat area as I feel this is vital for stability and control although you may lose some power. I felt much more at ease with the Extreme and could concentrate on my game rather than the racket itself. It still has great power but I really liked the the feel of it and to me it is the best all rounder. Nice weight and balance and actually felt a lot different from the first four rackets in this range, more comfortable and stable. Once again use the links below to go to the best deals for these rackets. I enjoyed all the rackets and I feel HEAD rackets have come along way with the Microgel range. It definitely still caters for the hard hitters in the game but they are more versatile and controlled than before. With squash getting more faster and aggressive I can see why many top flight players are choosing HEAD to keep up with the pace.